April 30, 2012: The Global Alliance for Vaccine Initiative (GAVI) is a global public-private partnership focused on saving children’s lives and protecting people’s health by increasing access to immunisation in poor countries. The Alliance Board recently had a retreat in Oslo on April 16-17, which was attended by our President Dr. Sania Nishtar, who chairs GAVI’s global Evaluation Advisory Committee. 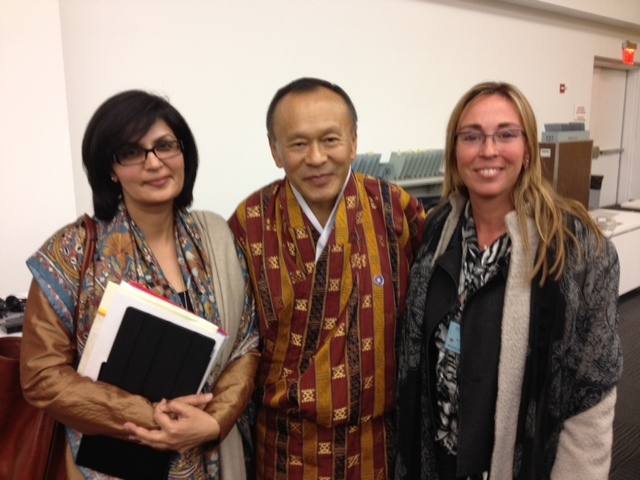 April 13, 2012: The recent ‘twin’ high level meetings on Wellbeing and Happiness, in New York, the first hosted by Jeffery Sachs on April 1 at the Columbia University and the second by Prime Minister Jigmi Y Thinley of Bhutan at the UN General Assembly on April 2 were important initial steps in the global response to the challenge of elaborating measurements of happiness and wellbeing. Beyond that they served as an important step on the path to new sustainable development goals, which will hopefully include measurement of wellbeing after the 2015 end-date of the MDGs. Our president, Sania Nishtar attended both the events. The webcasts of the events will be available shortly.